For the last 40 years, Joe Christian has run almost every day. In fact, he estimates that he has hit the pavement about 250 days each year, averaging eight miles per run. That’s 80,000 miles. Did we mention he’s almost 80 years old? The Valdosta, Georgia resident has been a runner his whole life. It was part of his routine for the 22 years he spent in the United States Air Force. After he retired from the military, he started working for the Postal Service. There, a co-worker invited him to join a running group that circled a 9-mile loop every week. He was about 40 years old, and that’s when he started running races. Since then, he’s logged more than 1,100 races including 18 marathons, more than 50 half marathons, and countless 5K’s. He crossed race finish lines 102 times last year. There’s time to spare. He’s 78 and nothing stops him. Not even a stroke. He suffered from one this year. Less than one month after the episode, he had run five more races. There’s plenty of opportunity for thought, as he still manages to do two to three 5K’s every single weekend. Two of his recent 5K’s were Chick-fil-A races, part of the Chick-fil-A Connect Racing Series. Sponsored by local restaurants, the series primarily operates across the southern United States. So far, Christian has run in two of them: one in Douglas, Georgia and other in his hometown of Valdosta. His tenacity caught the attention of organizers. Scarlett Keown coordinates the races through Connect Ministries and was at the 2015 Valdosta 5K. Christian says it was a great race. He has a tradition of bringing his own racing number. It always corresponds with the number of races he’s run. So he wore the official Chick-fil-A Racing Series bib, as well as his own. People noticed. “They thought it was wonderful that I was this age and still running." In a far different age bracket was 16-year-old Lanier Godwin. He’s a Chick-fil-A team member at the Chick-fil-A North Valdosta that hosted the race. He’s been running for about six years now, both for fun and for exercise, and tries to do one 5K race per year. He finished third in his age group and says the race exceeded all expectations. That’s exactly what organizers like Keown want to hear. The Valdosta race was just one of dozens that happen each year across the country. 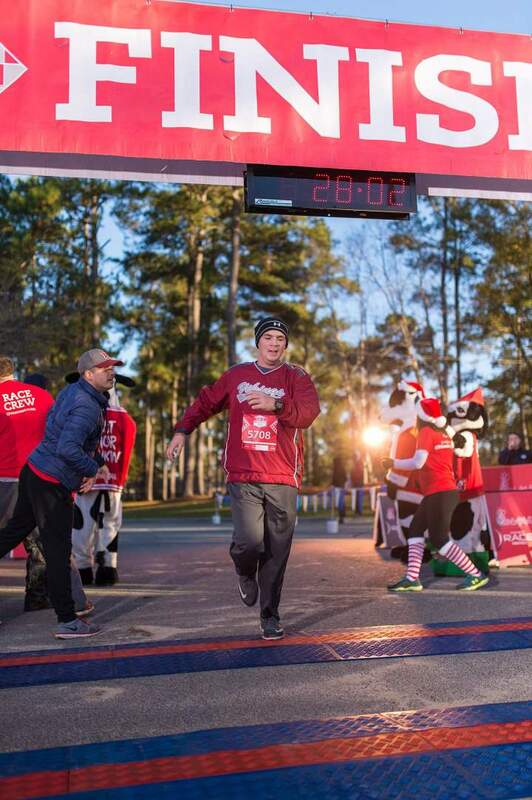 The Chick-fil-A Connect Race Series began in 2011, and has taken place in nearly 60 cities. Chick-fil-A restaurants in different communities volunteer to host races and usually offer a 5K and 1-mile Fun Run. Some include a 10K, while others take a different approach. Kicking off 2017, the series’ first race will take place in Henderson, Nev.
A 5K was a perfect fit in Valdosta for Godwin and Christian, who have crossed paths at the race. Godwin says seeing the local legend run was eye-opening. Here’s to 1,500 races and many, many more.